The talent chart shows all Bookings and Bookouts (whether open/confired/cancelled etc) that are specific to this talent. By hovering your mouse over the Booking you are able to immediately view more details such as the Client, Location and Booking time. To get to the Booking page, click on the Booking. This will take you away from the Talent Chart (and Talen Profile) and into the booking. You are able to change the Talent Chart into day, week or month view by clicking on the relevant tab at the top right of the chart. In order to scroll through days/weeks/months use the arrows at the centre top of the page. To get back to the current day/week/month click on the ‘today’ tab in the middle of the arrows. 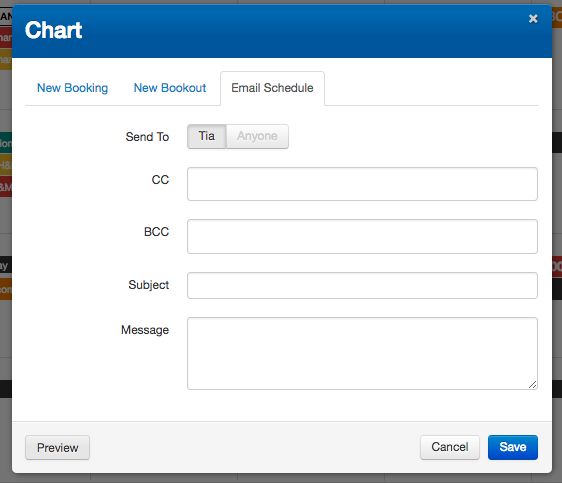 You are able to directly add a New Booking/ New Bookout/ and Email Schedule by right click on date - if you are after several dates, right click and then drag. 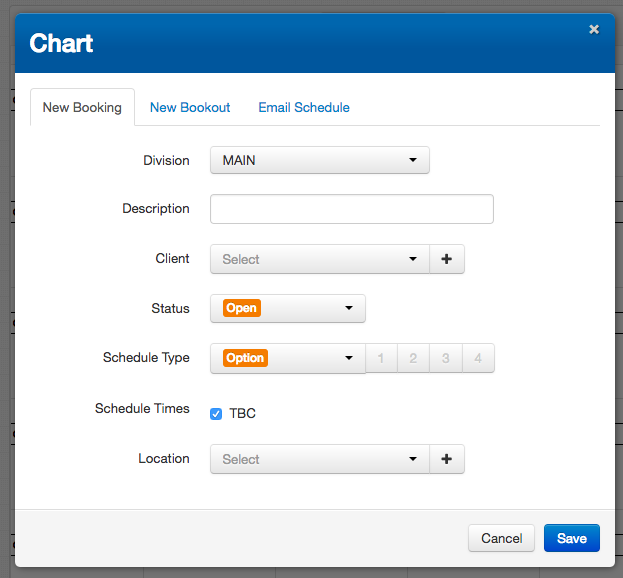 Creating a New Booking will automatically create a Booking including the Talent whose chart you are in. 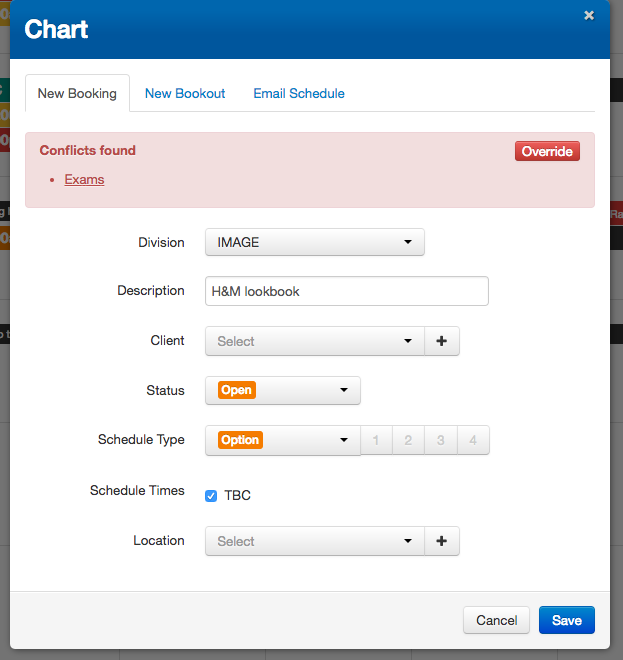 In order to add more information (such as more Talent) you would go to the specific Bookings page. 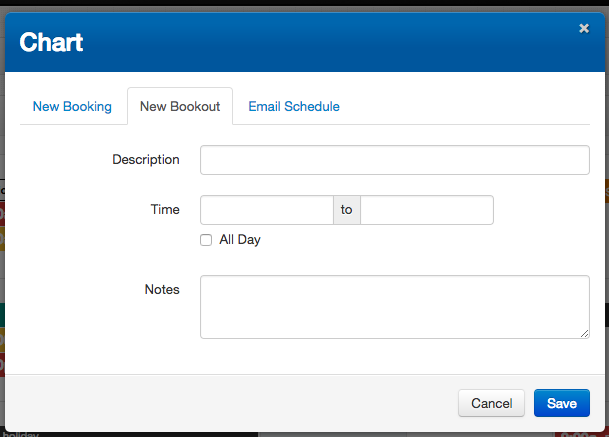 Creating a New Bookout will Book talent out for the selected date(s) for such things as Exams, Holidays etc. If a job Booking is created using this date for the Talent an automatic Schedule conflict will show up. From the Talent Chart you are also able to email the Talent Schedule to the Talent. 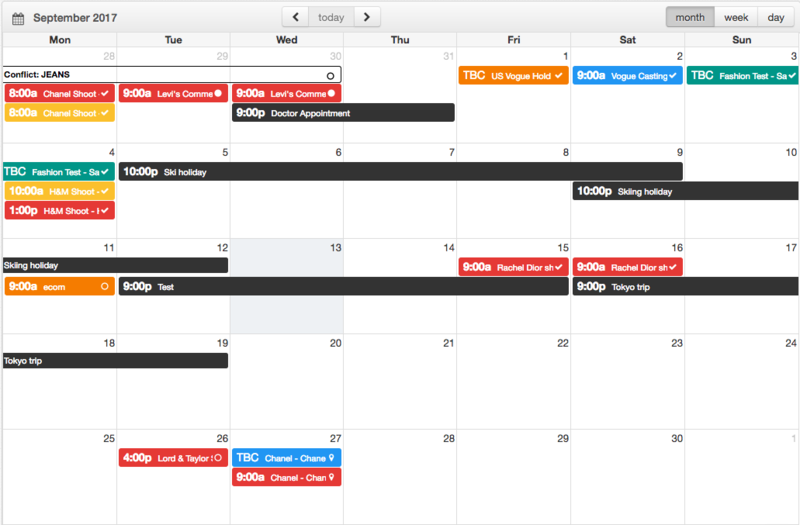 Select the dates which you would like to email to the Talent by right-clicking and dragging the cursor across those dates. 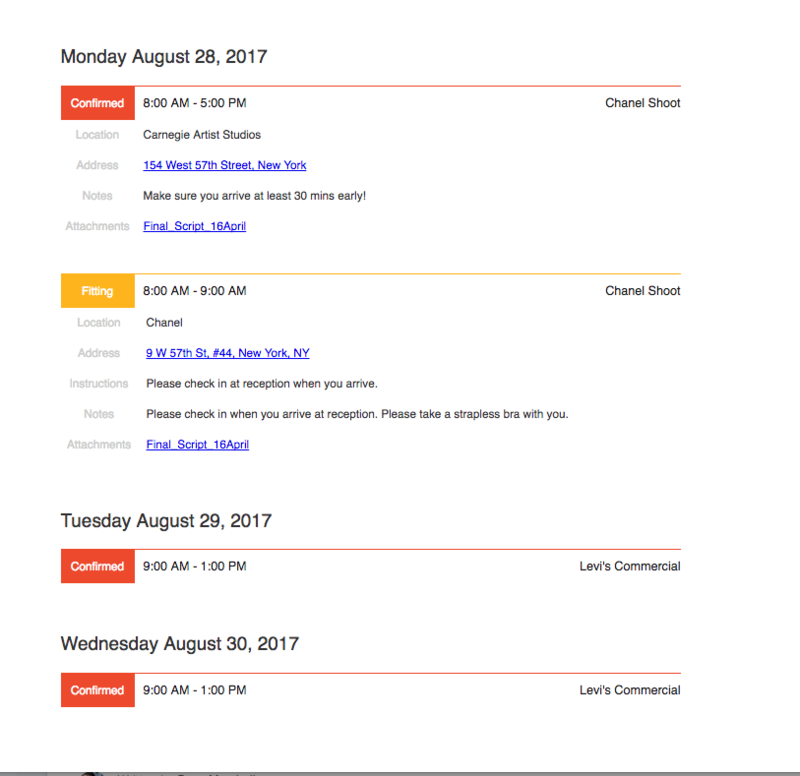 You are able to preview the email by clicking on the Preview button - a new window will open up with the email and Schedule.